1. 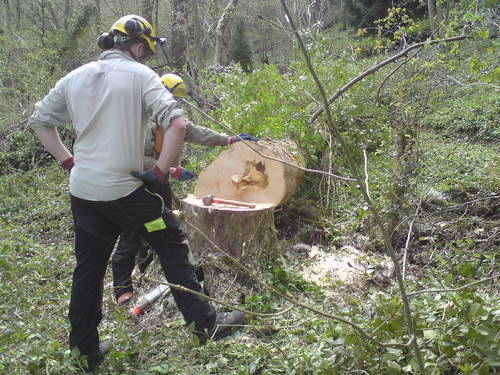 Calculated & controlled felling, cutting the bottom of the tree at ground level, the tree falls as it stands into a safe pre determined landing area. 2. 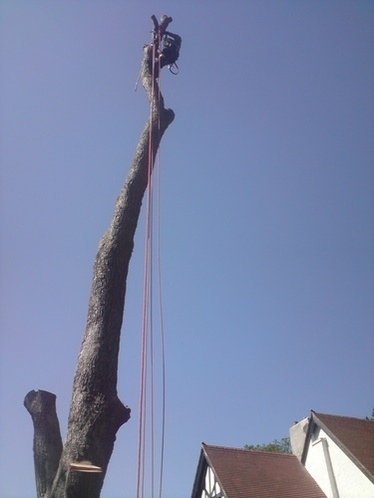 Sectional felling/dismantling, using heavy duty ropes, pulleys and specialist equipment. We climb the tree and take it down piece by piece. We use this method when there is limited space on the ground e.g. close proximity to persons or property.